Lara from BuzzinBumble is such a wonderful and talented lady! 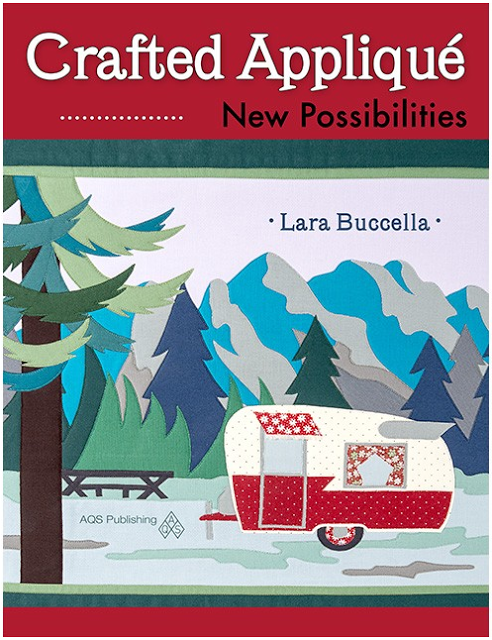 She wrote a book that will be soon published : Crafted Applique. The cover is amazing, I love it! It gives an idea of how talented a quilter she is! Don't hesitate and visit her blog... no doubt that you will enjoy it! Christine, you are a complete sweetheart to put this on Quilting Stories! Thank you for your kind compliments! I'm sending you a big virtual hug! This book looks really interesting, thanks for sharing! I also think that the cover is very well designed. I also admire Lara and her blog. What a beautiful cover.